A report by a health regulator has spelled out ways aimed at easing the pressure on eye clinics at hospitals. 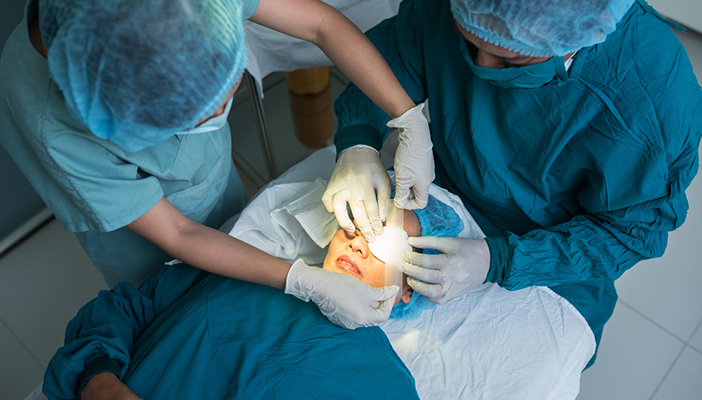 The report suggests that post-operative cataract care should be provided in the community – a move that has been welcomed by national representative bodies for optometrists and opticians. The Local Optical Committee Support Unit (LOCSU) and the Optical Confederation (OC) have backed Monitor’s recommendation in their report on elective surgery that post-operative, follow-up care for patients who have had cataract surgery should be provided in the community by optometrists. Both LOCSU and the OC agree with the health watchdog that the move would help ease the pressure on hospital ophthalmology clinics. Katrina Venerus, LOCSU Managing Director, said: “This is eminently sensible and the community optical sector believes it should be implemented across the country. “Despite the obvious benefits, to date, only 23 out of the 209 CCGs in England have commissioned this approach to bring efficiency to the cataract care pathway and provide care closer to home for patients. It also cites the importance of extending the role of the nurses that in some clinics allow them to administer injections for wet amd or give topical anaesthesia for routine cataract surgery. “These changes need to be clinically led, made on a large scale and coordinated nationally rather than introduced piecemeal locally,” the report says. The report – that also covers orthopaedics - believes that all clinics should see this report as an opportunity for improvement.